Make your own Irish bracelet! Hallmarked in the assay office in Dublin. 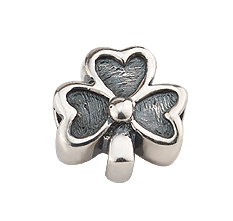 It is said that wearing the shamrock brings good luck!